Wild Moccasins | Jaguar Purrs | + Free After-Party w/ DJ Kale Svvick! The band TEEN came together at the turn of the decade, but its members have known each other their whole lives. Teeny, Lizzie, and Katherine Lieberson are sisters. Although they grew up in a musically vibrant Halifax home—their father was the esteemed composer Peter Lieberson—their first band jelled once they all lived in New York.Teeny officially conceived TEEN in 2010 while on break from touring as part of renowned band Here We Go Magic. Following her self-recorded 2011 release Little Doods, she invited her sisters to join the project, transforming TEEN into a full-blown band. Carpark records caught wind of Teeny’s work, and TEEN signed to the label for its proper debut album, 2012’s In Limbo. The sisters’ unsurprising, inevitable chemistry manifests across the record’s sprawling, lo-fi psychedelia; the familial bonds that formed it gave it a strength that resulted in acclaim from publications including Rolling Stone, which claimed, “the matter-of-fact beauty of [Teeny’s] sweetly somber voice and the album’s unapologetically fat synths…proves highly evocative.”It was with their 2014 follow-up The Way and Color, though, that the sisters solidified their accessible but complex, psychedelia- and synth-informed pop lens through which they explore romance, womanhood, and social constructs. Of the album’s more outré, electronic-influenced sounds, The New York Times raved: “The band’s new songs bloom with vocal harmonies and double down on intricate counterpoint…. TEEN’s music never [loses its balance].”Good Fruit, the band’s fourth and newest album, is its sharpest thesis yet. A meditation on life after love, it’s thematically the opposite of its predecessor, 2016’s Love Yes, which The Guardian praised as “reminiscent of…inventive late-70s to mid-80s pop groups.” Musically, though, Good Fruit is the logical evolution of Love Yes’ massive uptick in synth use and sticky-hot choruses. 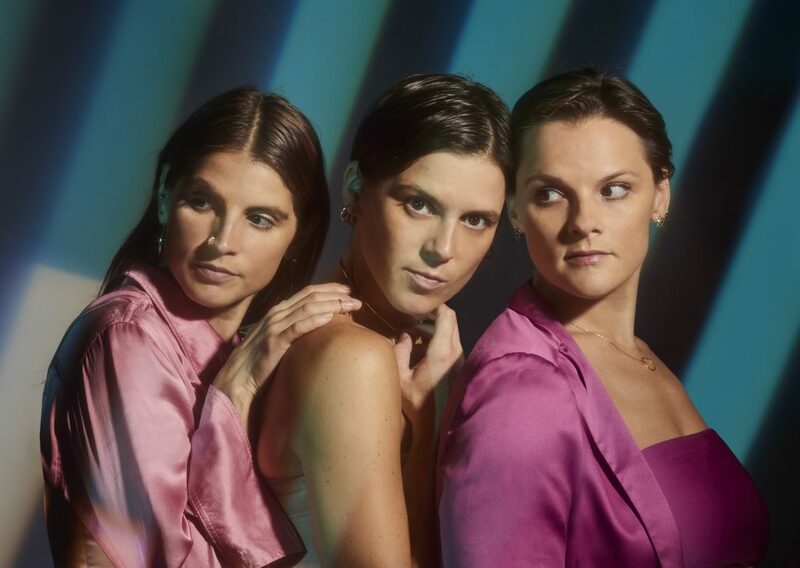 The album boasts self-assured, skyrocketing synthpop anthems including “Only Water” and “Runner,” which betray the crucial lessons the sisters took from experiencing the distinct, enlivening ways that their myriad Love Yes tourmates employed synths. As with all TEEN albums, there are haunting ballads, most notably “Pretend,” which swells into a roaring synthetic climax as it details a relationship’s failure. A precise analysis of life after love, it’s an ideal note on which to end Good Fruit, a bold statement on moving forward and letting go of the past. 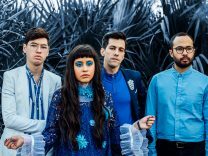 Fronted by Zahira Gutierrez (vocals/keyboard) and Cody Swann (guitar/vocals), Wild Moccasins’ forthcoming third full-length serves as a new beginning for the group. Look Together tackles themes of repairing relationships, shedding insecurities, and fresh starts, with vibrant guitar and synth lines layered under Gutierrez’s soaring pop melodies. Look Together is highly pop-powered, with Ben H. Allen (Gnarls Barkley, Deerhunter, Animal Collective) at the production helm. Recorded at Atlanta’s Maze studios, Allen encouraged the group to revise their approach to the writing and recording process. The result is a diverse album that blends the signature, guitar-driven elements of Wild Moccasins’ early discography with expansive electronic and ‘80s/’90s pop components. The impassioned 12-track LP began to form merely a week after the release of 2014’s 88 92, as Gutierrez and Swann’s decade-long romantic relationship dissolved. Healing proved to be a burdensome task, as Wild Moccasins were charted for two years of extensive touring. Gutierrez and Swann would spend countless hours positioned in a shared tour van, painfully staring each other down on stage and ultimately exchanging exaggerated he-said-she-said’s through songwriting. For most romantically intertwined bands, Look Together would have never happened. Dissolving the group would seem to be the logical conclusion of their romantic split, but instead, the former couple chose to reconcile their differences the only way they knew how – working towards a common musical goal. + Free After-Party w/ DJ Kale Svvick!